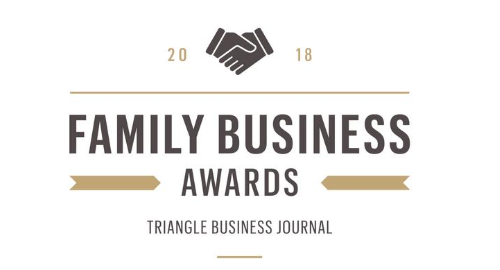 HHHunt was recently honored to be named a winner of the third annual Family Business Awards by the Triangle Business Journal! The awards recognize multigenerational, family-owned, as well as closely held businesses in the Triangle region of North Carolina for overall excellence, innovation, ethics, philanthropy and contributions to the strength of the area. HHHunt Corporation is proud to be a family owned business for more than 50 years! 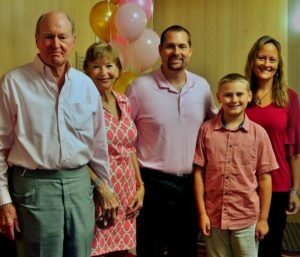 Founded in 1966 by Harry H. Hunt, III and Pete Snyder, HHHunt continues to be family owned with Harry serving as Chairman and his son, Harry “Buck” H. Hunt, IV, serving as Vice Chairman and Chief Executive Officer, based in our Raleigh headquarters office. As steadfast leaders, Harry and Buck strongly believe in the family values they share with the company. The Triangle Business Journal recognized HHHunt’s mission of “improving the world and how people live” through our contributions to the Triangle community. Those contributions included serving as an engaged community partner, providing exceptional family-focused and employee-centered benefits, and investments of over $350 million in the Triangle region. We believe it’s how you live that matters! HHHunt’s identity as a family business built on core values helps drive our commitment to creating meaningful experiences and places of great distinction. We are honored to be recognized for this commitment by the Triangle Business Journal. If you’re interested in working with a family-owned company that values and empowers its team members, we encourage you to consider HHHunt! Additional information about careers opportunities and our current openings are here. Check out our Careers at HHHunt Facebook page too!